By Adrienne Rivera. Jun 13, 2017. 9:00 AM. 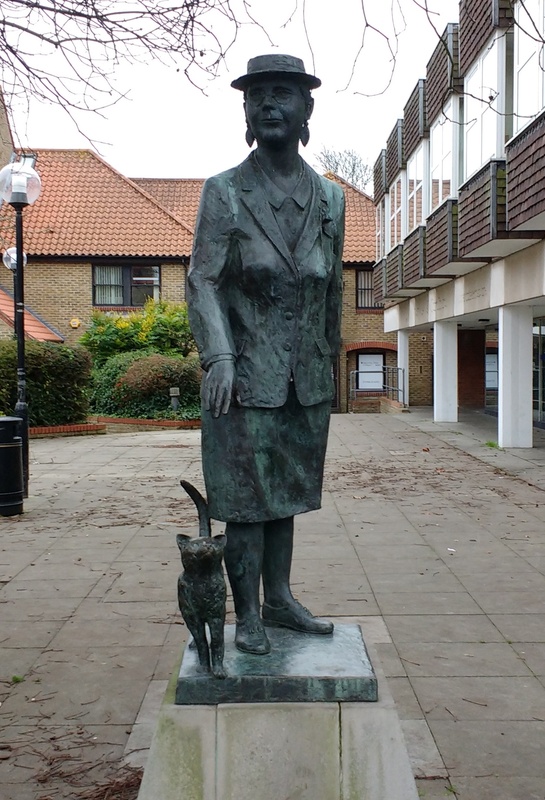 Dorothy Sayers is often regarded as one of the top mystery writers of all time. Her detective stories continue to be read today, and her books' hero Lord Peter Wimsey is often mentioned among such fictional greats as Sherlock Holmes, Miss Marple, and Hercule Poirot. A prolific writer, Sayers published widely and not just the novels for which she is best known. Sayers also had considerable success as a playwright, short story writer, poet, and Dante scholar. If what you know of Sayers' work only includes Lord Wimsey, the breadth and scope of the rest of her work—and of her rather interesting life—may come as quite a surprise. Here are some interesting facts about the work and life of one of the main players in the Golden Age of detective fiction. Her personal life had its ups and downs. In 1926, Sayers married journalist and World War I veteran Mac Fleming, himself a writer. Earlier in the 1920s, however, she birthed and illegitimate child who was raised by her aunt, and she had had a tumultuous and unhappy relationship with Imagist poet John Cournos. The relationship was so dramatic that it inspired each of them to write novels centering around a fictionalized account of the dissolution of their love. Sayer's Strong Poison introduces her famous heroine Harriet Vane, who in the novel is accused of murdering her ex-lover. In 1932, Cournos wrote his own fictive account, The Devil is an English Gentleman. Sayers was also part of a motorcycle gang and was close friends with C.S. Lewis. She attended numerous Inkling gatherings and both Lewis and J.R.R. Tolkien read her work during these meetings, though neither of them had many positive comments about detective fiction. Her lesser-known detective hero is a wine salesman named Montague Egg. Though Sayers' most famous detectives are Lord Peter Wimsey and his lady love Harriet Vane, she also wrote repeatedly about another detective. Montague Egg, a traveling wine and alcohol salesman, stars in dozens of short stories throughout several collections. Though he never appeared in any full length novels about his own adventures, the mysteries he solves in the short stories in which he is featured are as entertaining and well-crafted as the murders Lord Wimsey investigates. She is a highly regarded Dante scholar. Fans of detective fiction may not realize that Sayers had a long and impressive career in the classics as an essayist and translator. One of her most enduring works is a translation of Dante Alighieri's Divine Comedy. In a move that makes her stand out from other translators of the original Latin, Sayers focused on preserving the rhyme and rhythm, eschewing the popular and nearly universally accepted “Abandon all hope, ye who enter here” in favor of the rather different “Lay down all hope, you who go in by me” so that it rhymes and fits with the rhythm of her later translation choices. In spite of this somewhat surprising deviation—it is, after all, a phrase so widely used that even people unfamiliar with Dante have likely come across in it some aspect of popular culture—her translation is widely considered excellent. Though many more translations have been published, Sayers' version is still in print today. Her play, The Man Born to Be King, caused quite a controversy. Though the play is likely unfamiliar to Americans, Sayers The Man Born to Be King was a controversial hit and is the best known of all her work in drama. The play was serialized on BBC Home Service during World War II as a sequence of twelve smaller radio plays. The first was aired on December 21, 1941, leading it to be, for many British listeners, synonymous with Christmas. At the time of its original airing, the play caused a considerable amount of uproar. It was one of the first times the figure of Christ was portrayed by an actor outside of church productions and many Christians objected to the idea of Jesus being portrayed by an actor for the sake of entertainment rather than ministry. In addition, many took issue with the play being written in standard, modern English with all its typical slang and sentence structures rather than in the language and style of the Bible. In fact, protests over the play were at such a high that Singapore's defeat and occupation by Japan was thought to be a sign of God's displeasure with the radio play. However, in spite of the controversy surrounding it, the play continued to be released in segments, one every four weeks, until its conclusion in October of 1942. The play continues to be popular and has been recast and released on the radio. It repeats regularly and most recently was aired in 2011. Sayers and her characters are referenced in pop culture. 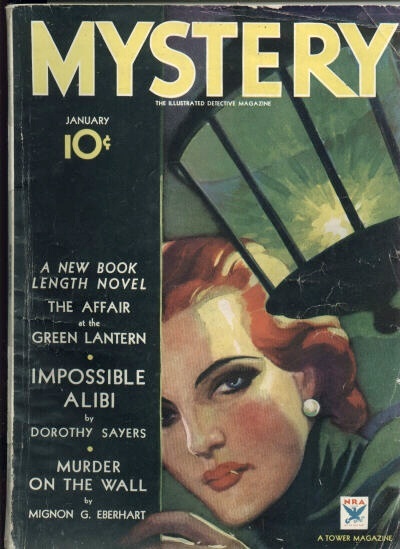 Though Lord Wimsey has not made the splash in film and television like other detectives, he, as well as fictional versions of Sayers herself, have appeared in various iterations in popular culture. Wimsey appears as a character with Hercule Poirot in C. Northcote Parkinson's novel Jeeves, and again with Sherlock Holmes in A Letter of Mary by Laurie R. King. A fictionalized Sayers and Agatha Christie solve a murder in Gaylord Larsen's Dorothy and Agatha. Even horror legend Stephen King references Sayers' work. In his novella Apt Pupil, a character is said to look considerably like the handsome Lord Peter Wimsey.